The Zimbabwe Electoral Commission is an independent body created through parliamentary processes and does not take instructions from any political party, President Mnangagwa has said. 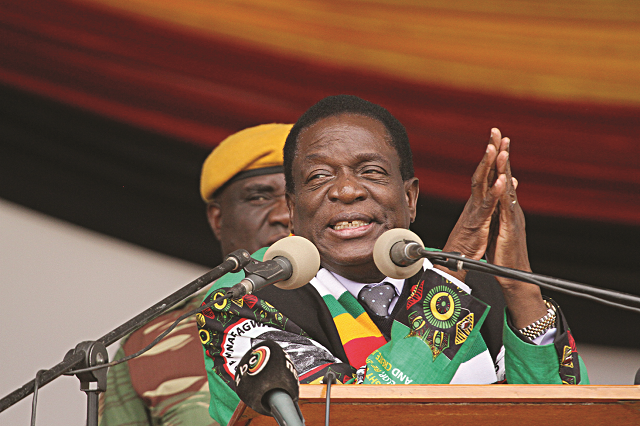 President Mnangagwa said if there was any political party not happy with the operations of the electoral body, it should approach the courts for redress. “There was a Tsvangirai party called MDC-T. Now we have MDC Alliance. MDC Alliance which is being led by Chamisa, MDC-T led by (Thokozani) Khupe,” said President Mnangagwa. “But this one called Alliance is the one complaining about Zec and the voters’ roll. Zec is a creation of the Constitution of Zimbabwe. Zec did not come from Zanu-PF. Zec comes from the country’s Constitution. Zec is chosen and created by Parliament. In Parliament the parliamentary committee chose Zec. President Mnangagwa continued: “Zec is an independent commission. Government has no control on Zec at all. No political party at all should give instructions to Zec. We in Zanu-PF observe the rule so we will never give instructions to Zec. We expect, however, that Zec must follow the law. “It must follow and comply with the Electoral Act which governs its functions. If there is any belief that Zec breached the Electoral Act or the Constitution, the courts are open. “My name is Mnangagwa so it is on number 15 and his name is Chamisa and is at the top but he is having sleepless nights over my name which is on the bottom. “So this issue of where a name is on the ballot paper is his personal problem. We are concerned about 30 July where we will go and vote in numbers, while they are demonstrating about where a name should be on the ballot paper. While they are doing this we are talking to the people explaining programmes taking place in the country, economic programmes, social programmes to grow our economy, for making better the lives of our people in education, in health, in infrastructure development, in agriculture, in tourism. President Mnangagwa explained that for almost 20 years Zimbabwe was in isolation due to economic sanctions but the country had embarked on a re-engagement drive to reposition itself in the community of nations.